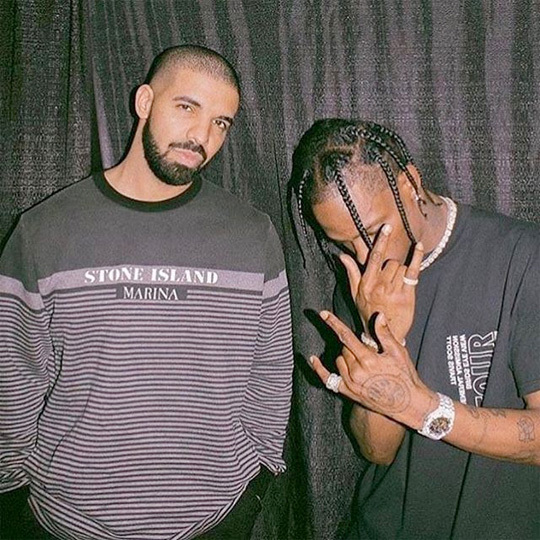 A month ago on April 19th, Travis $cott brought out Drake during his show at the Veterans Memorial Coliseum in Portland, Oregon for a stop on his “Birds Eye View” tour. During the concert, Scott brought out Drizzy to perform their “Portland” collaboration off More Life live (which was only right considering the city they were in). The 6 God also joined the crowd to mosh pit with fans as Travis performed “Antidote” and “Goosebumps” live. You can check out some footage of all this after the jump below! Curren$y had a concert on April 19th at the House Of Blues New Orleans music venue in Louisiana. During the show, Spitta brought out Mack Maine to perform his “Knuck If You Buck (Freestyle)” verse off Young Money The Mixtape Vol. 1. You can watch the Young Money President perform live in the N.O. above! 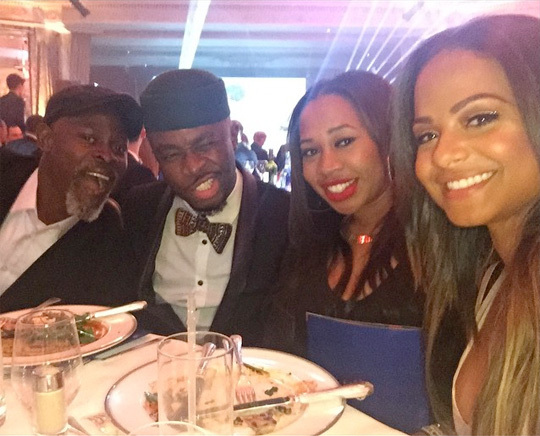 On April 19th while she was in the United Kingdom, Christina Milian attended the “Didier Drogba Foundation Charity Ball” at the The Dorchester hotel in London, England. During the event, Tina Turn Up also performed her “AM To PM” single live as Chelsea FC soccer players Didier Drogba and Eden Hazard danced on stage. You can watch a recap of the whole event after the jump below. Click here to watch Media Spotlight UK interview Christina on the red carpet! Nayha Ahmad from Media Spotlight UK caught up with Christina Milian on the red carpet at the The Dorchester hotel in London, England for the “Didier Drogba Foundation Charity Ball” event on April 19th. During their conversation, Tina Turn Up spoke on attending Coachella 2015, her “Christina Milian: Turned Up” reality TV show, upcoming music which she says she hopes to get Lil Wayne featured on, and more. You can check out the interview after the jump below! We saw footage of Drake bringing out Nicki Minaj at the 2015 Coachella Valley Music & Arts Festival in Indio, California on April 19th. Well at the same concert, David Guetta also brought out Nicki during his set. Just like the Young Money Barbie did to “Truffle Butter” during Drizzy’s set, she walked out on stage as “Hey Mama” was playing to dance for the crowd, but didn’t touch a microphone. You can check it all out in the video after the jump below! Just like last week, Drake headlined the second weekend of 2015 Coachella Valley Music & Arts Festival in Indio, California. During Drizzy‘s set, his Young Money label-mate Nicki Minaj walked out on stage as he was performing “Truffle Butter“, but she didn’t touch a microphone. 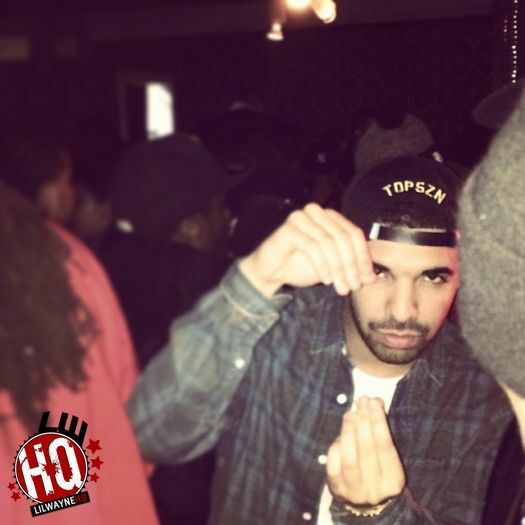 You can watch Drizzy Drake performing “The Motto” and “Truffle Butter” live at Coachella after the jump below. It would have been dope to see Nicki rap her verse! The 2015 Coachella Valley Music And Arts Festival lineup was revealed earlier today and Drake was announced as one of the headliner acts! The music festival is set to take place over 2 different weekends in Indio, California on April 10-12th and April 17-19th. Drizzy will be performing on the Sunday on both weekends. If you wish to attend, you will be able to purchase tickets tomorrow (January 7th) from here for weekend 1 and here for weekend 2!